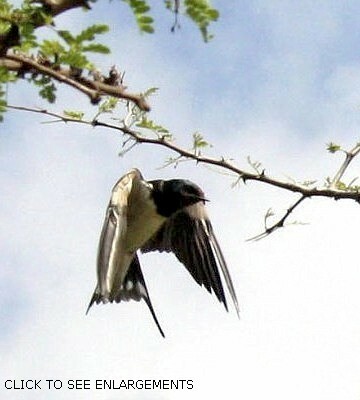 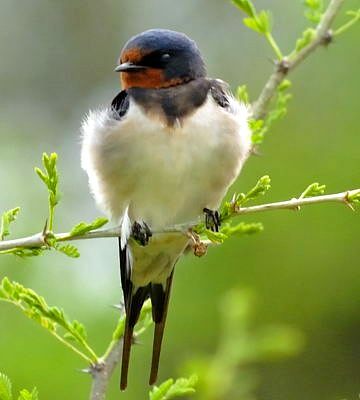 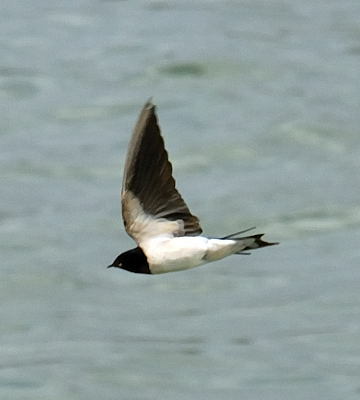 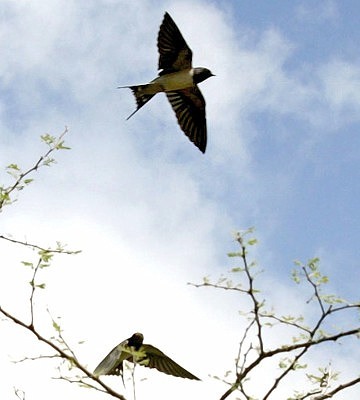 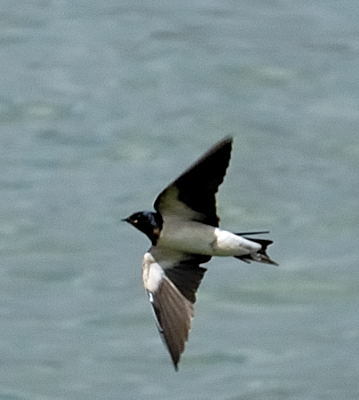 The barn or European swallow is a commonly seen palearctic migrant. 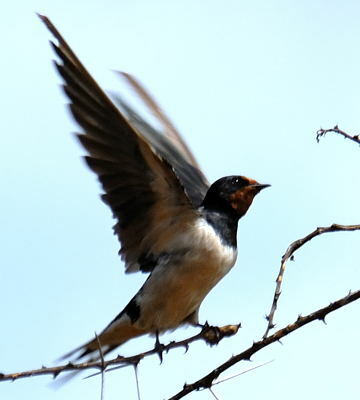 The rust-coloured forecrown and throat are diagnostic. 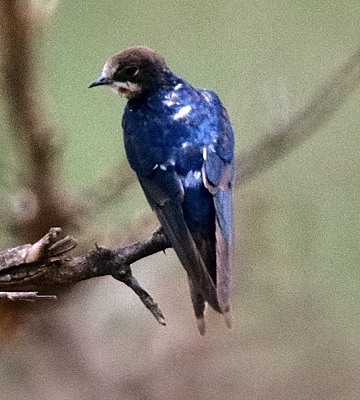 The left 4th row and both 5th row photos are of melanistic barn swallows (Lake Chala, 4-11), courtesy of Lyn Waltenberg. 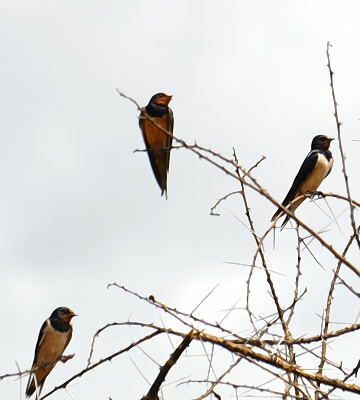 The immature (right 4th row) was seen in Tarangire (1-04). 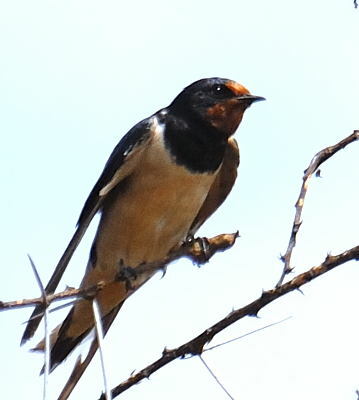 The others were seen in Silale swamp and Arusha NP. 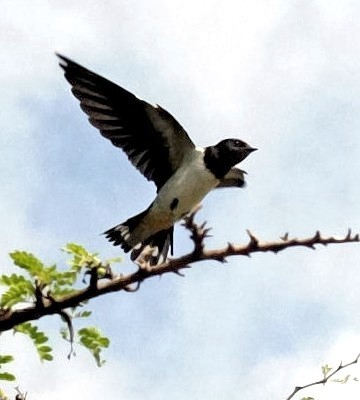 Click the photo above to see a series of enlargements.